We are currently interviewing applications for our annual round of funding. Non-profits throughout San Diego County are invited to apply for our annual grants through January 31st, please visit our Grant Page for details. Please be assured that these submissions are thoroughly vetted and members of our grants team personally do onsite visits for each applicant that meets our Women’s Health criteria. We give thanks to our sponsors who generously support our gala. This allows us to maximize our contributions to all our beneficiaries. 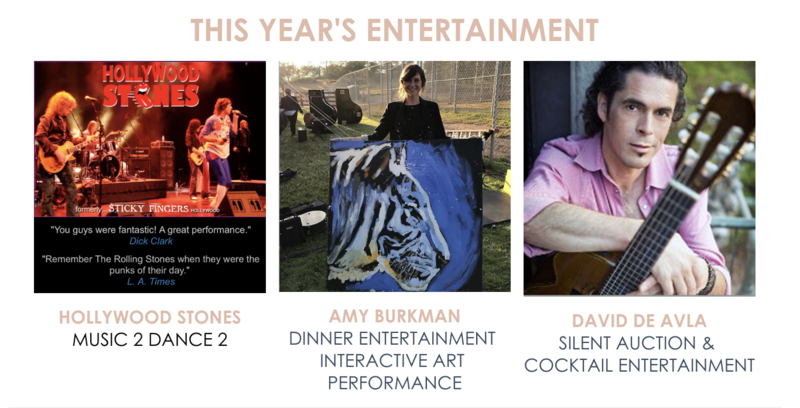 On-site essentials include art, eats & drinks, silent/live auctions, fabulous music and dancing to the Hollywood STONES! We generate funds at the gala through our auctions, through our donation drawing and through our sponsorship campaign program. We expect two hundred plus guests to enjoy dining and dancing while helping raise money for women’s health! This will be a sold out event and reservations are limited! ** In case of inclement weather, please consider your reservation a donation.